Mobile phones can take amazing photos on auto, why bother paying a professional photographer? The camera you have on you is the best camera to have. Yes, I'm a professional photographer and yes, I encourage parents to take photos of their kids. I feel documenting your life and your kids life through photographs is an amazing thing to do. 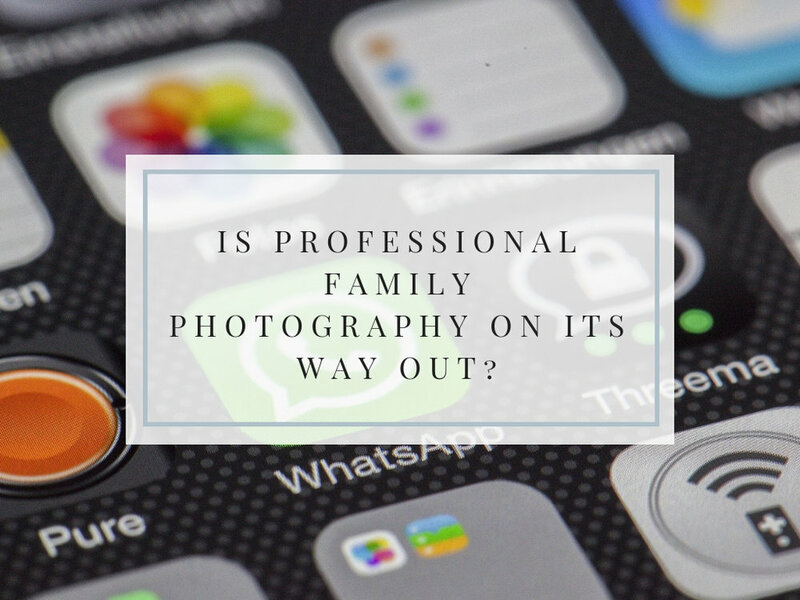 I also help parents with the "technical" side of things to improve the photos they take whether that is with their own camera or a mobile phone. If you can get great looking photos yourself, the question that remains, does that mean professional family photography is on its way out? Why should you take photos yourself? Life is busy and the older I get the faster the years seem to speed by. We're juggling so much that when we stop to look back and scroll through the photos we've taken over the years we smile at the memories but also feel that pang, how the kids were, how they've changed, how much they have grown. You remember days you might have otherwise forgotten. Take the photo, take the photo, take the photo. Yes I totally took a picture of a toy T-Rex and Finlay asked me to take photos of his socks! It is amazing that technology gives us this gift. I remember being a kid and getting disposable cameras and sending them away in a green packet for a pound to get them developed not knowing if any would come out. Now we can take a photo at no extra cost with a device we normally have close to hand. We can see if it’s a blur and take it again, we can take 4k video, take slow mo videos of jumping in puddles or the faces of pure joy when our littles ones are pushed high on the swing. We can share all of this via our phone to family and friends, we can even share it all with the world via social media. We have the ability to document our lives in a way we never did before and that is an amazing thing. Google drive or iCloud may cost a few pounds a month and I know it's unlikely something happens to your phone but what if it does? Phone contracts are one, two, even three years long. Imagine you have a year of your kids life documented and you lose your phone or it just gives up one day-how do you feel? Helpless, regretful, why? Because our memories fade and photos are a real and tangible. Live your life, take the photo and make sure those photos are safe, they are not something you can put a price on until they aren’t there anymore. With high pixels and instant results you are pleased with, why should you consider a professional photographer? If you have a look through your phone you see photos of your kids, selfies with them, photos that make you smile (photos worth backing up and keeping safe!). So really the question is, what’s missing? What can I bring to your family photography? Yes as a professional I understand light to make beautiful images, I invest in my equipment to produce high quality images but there is more to what I do than the technical aspect. What I really bring to the table to the ability to capture the laughter and connection for your whole family and yes, that means you too! You know those moments when you hold your little one close and they just sink into you, when all feels well with the world and you are holding in your arms your absolute everything. That is an example of a moment that you can’t take a selfie of. Photos that not only you and your kids will look back, but your grandkids too. 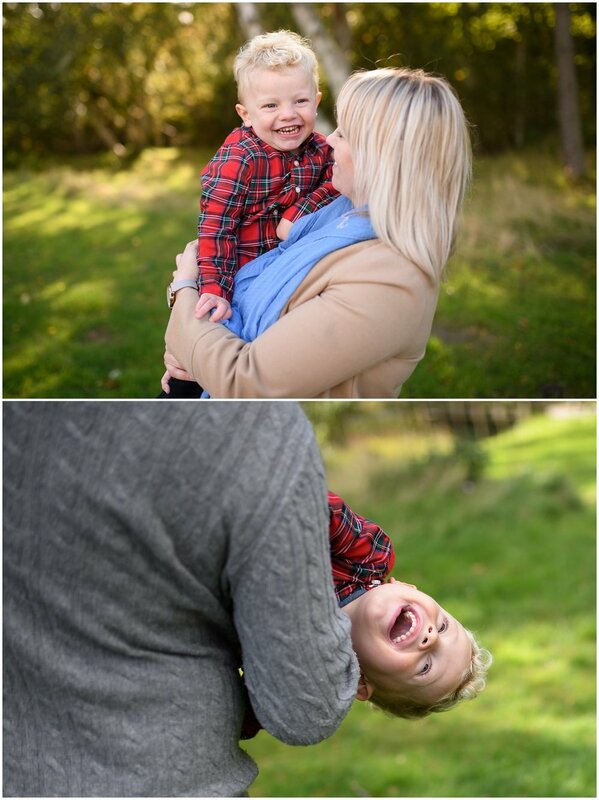 My family sessions are directed, I don’t put you in front of the camera and expect anyone to “act natural”. There are cuddles and silly faces, there are tickles and holding hands. There is interaction between you and your family, there is connection, and that is when the smiles are real and memories that go alongside of that are priceless. Professional photography is an investment and it’s not something everyone wants to invest in. People see value in different things, photographers all have different styles and different perspectives. My style is not right for everyone but for some people it’s the perfect fit. If you see the value in professional photography find the photographer who is your perfect fit. It may not be me but there is someone out there who can photograph your world in a way you want to remember. Would you like to give the gift of photography to someone you love? You can buy gift vouchers here! All vouchers purchased before Christmas will be valid until the end of June 2019.